There has never been a single match that Atletico Madrid have not won against Granada in their last five meetings at the Spanish top-flight league. From last season alone, the defending winners thrashed their rivals 7-1 on aggregate scores, the first leg of which ending in a clean sheet. In their first encounter for the current term, Los Colchoneros again scored again a clean sheet against El Grana. Although still highly eligible at claiming this season’s La Liga title, Atletico Madrid have faced stronger competition against Real Madrid and Barcelona than last season. They are presently four points away from the top rank. Granada, meanwhile, have consistently produced dismaying performances beginning in week five, when they progressively dwindled in the table and ultimately culminating at the foot of the rankings. 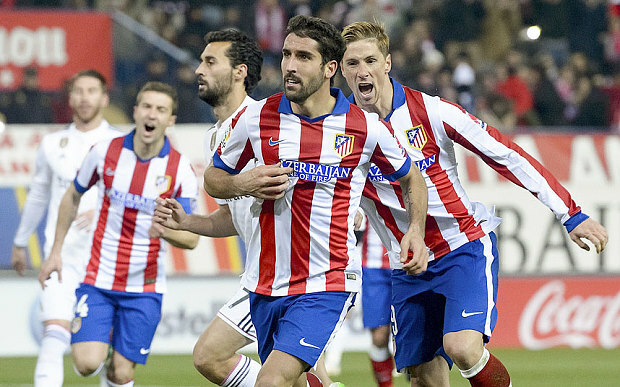 Online betting tip: Atletico Madrid will easily bag all three points from Granada. Last Spanish football season’s runners-up in their respective leagues will once again meet this year. In their most recent battle, for their first leg in La Liga this season, the Barca outfit single-handedly thrashed the Brancoazuis. Their brawl ended in a clean sheet, with two goals netted by Alexis Sanchez and Leo Messi. By historical record, Luis Enrique’s men have also been highly dominant over Victor Fernández’s lads, with the latter never winning against rivals. Form-wise, the clubs have generally contrasting records. Depor’s last five matches in La Liga only gave them two wins, one draw, and two defeats with a total number of goals of only two. Barca wins the comparison by a large margin. Although they lost to Real Sociedad a few weeks ago, they earned a total of 13 goals from their last five matches alone. Of which, three were scored in winning fixtures. Football betting tip: Barcelona will earn all the spoils from Depor. La Liga Transfer Rumors: Alvaro Negredo to join Atletico Madrid?